NEW YORK (CNNMoney) -- After suffering through several years of dismal summer job markets, not only will there be more hourly positions this year, but they will pay better. More than half of hiring managers, or 55%, said they plan to hire seasonal workers this summer, according to the survey released Thursday from hourly job site SnagAJob.com. That's the highest percentage since SnagAJob started the survey four years ago. 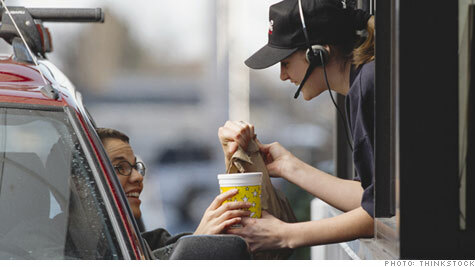 Ten percent of hiring managers said they will be hiring more seasonal staff than last summer, up from 6% in 2010. Those who score summer jobs will be paid better, too. Hiring managers said they plan to dole out $10.90 an hour, on average, a 7% increase over last summer's $10.20. "A number of indicators show that this season should be better than the past several years, including more hiring managers making hires and a greater number of those folks indicating that they will bring on more employees than the previous season," Shawn Boyer, CEO of SnagAJob, said in a statement. But, job seekers need to start their searches immediately. According to the SnagAJob report, 43% of hiring managers with available jobs expect to complete their summer seasonal hiring by April, mostly with returning workers. "We know that employers are already starting to consider summer employment and if a college student hasn't found a job by mid-May they are probably not going to," said Rebecca Rogers-Tijerino, a senior vice president for temp staffing firm Adecco. Hiring managers told SnagAJob that 65% of the staff will likely be workers returning from last summer, and 35% will be new employees. Competition for those jobs will remain fierce, however. To get a leg up, hiring managers said that a positive attitude was the most important attribute in a job candidate, followed by the ability to work within a schedule and previous experience. The survey also asked firms to share some of their best advice. Among the comments: "communicate what you can contribute to the job," "Do your own research on the prospective employer" and "remove piercings/hide tattoos."